And of course, the book of the hour! 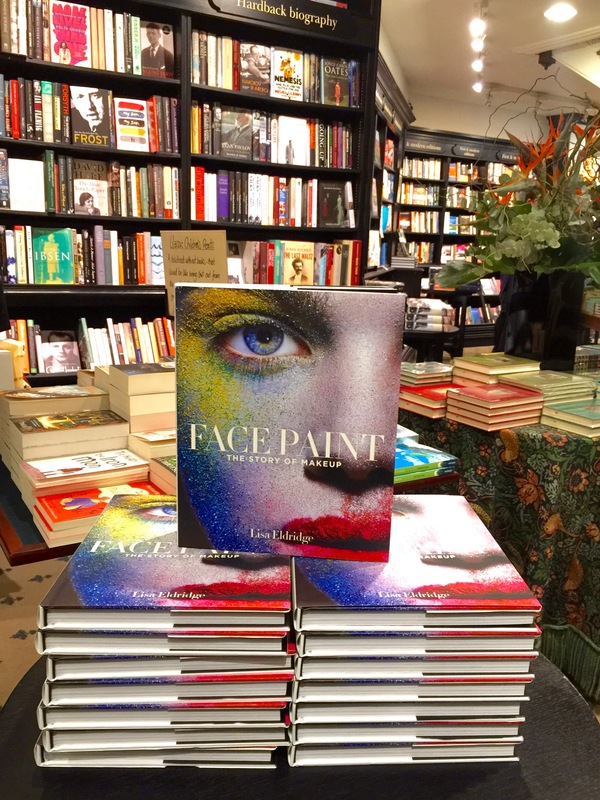 Face Paint: The Story of Makeup is a fantastic read and it’s a must-have for any beauty enthusiast. 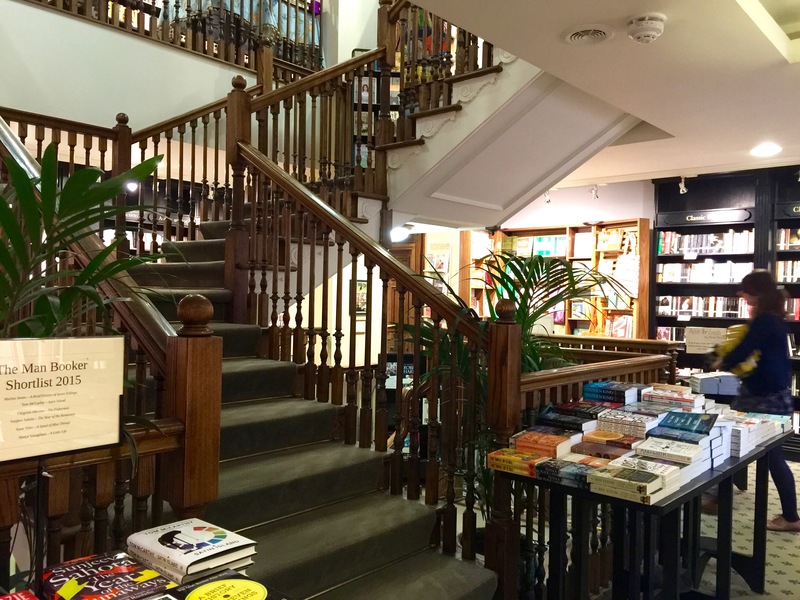 Lisa chose to write about makeup not in a linear sense of development, but in two sections that explore makeup from a socio-historical point of view and as an industry. The book is entirely Lisa, and you’ll know what I mean by that if you watch her videos. The enthusiasm she has for the topic jumps off of the page. Coupled with the amazing photographs she chose to include, the volume is an utter joy overall. So there I stood, copy of this amazing book in hand, waiting to meet its author — at the very front of the line. Yup, I was that excited. I was literally the first in line and the line eventually snaked all the way up the stairs. Haha. I caught this moment when, after settling into her chair, Lisa asked “Right! So who’s first?” and she and her team all turned towards my starstruck self. I just about launched myself forward as I squeaked out a little “me!” which is why this photo is blurry. It’s a perfect representation of that moment, really. Here I am with THE Lisa Eldridge. I look absolutely terrified because I was beyond nervous, but Lisa herself was incredibly sweet. 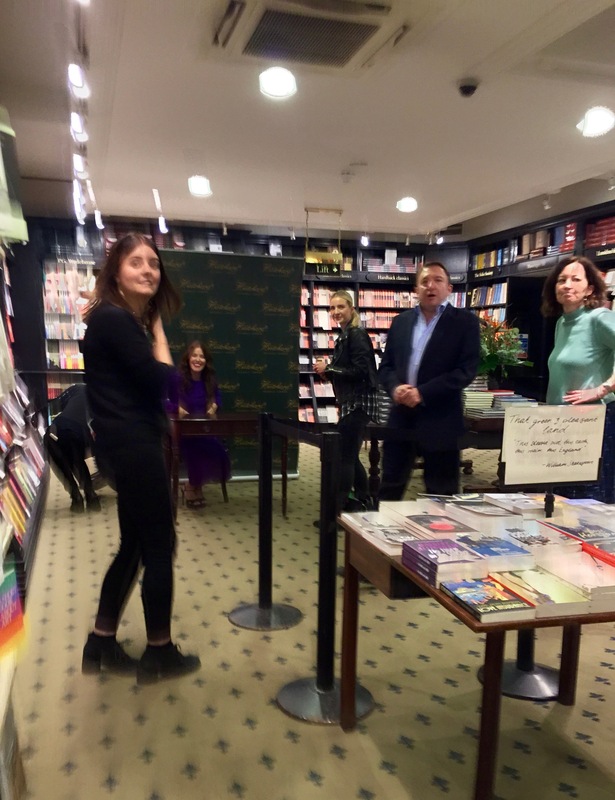 I didn’t feel rushed to end my little chat with her and she was just so genuine. Her entire look (makeup + outfit) was flawless– she’s the epitome of a lady, really. 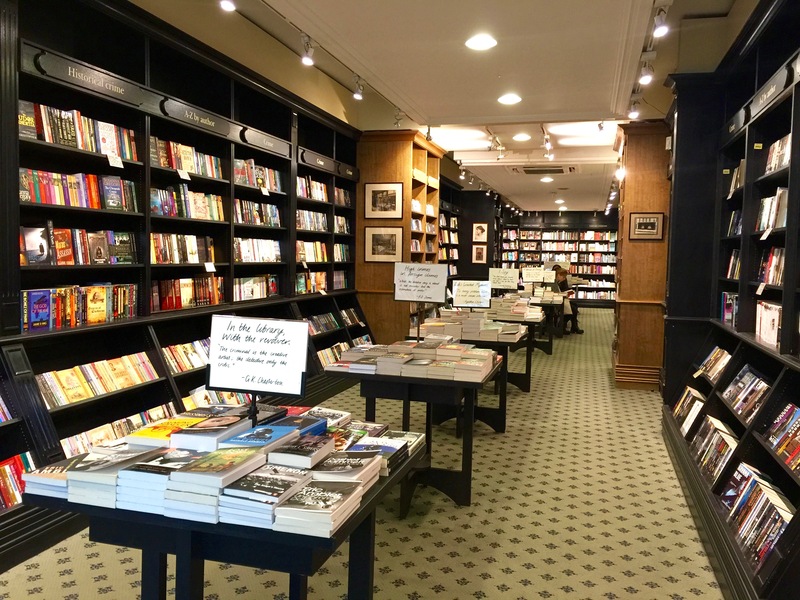 I should have asked to take another photo but I let my shyness get the better of me. Anyway, life’s like that I guess. We look the worst in the most important photos! Haha. 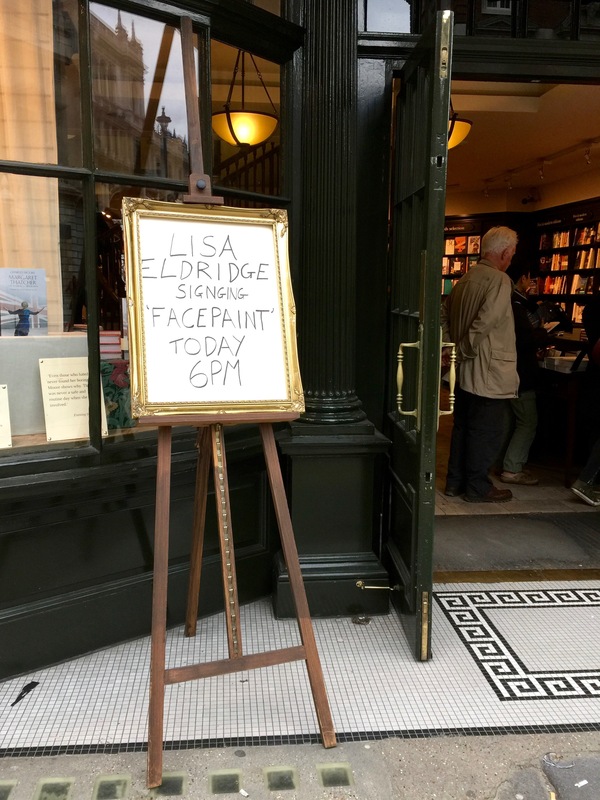 Right after the experience of getting to meet Lisa, having my copy of Face Paint was of course the best. I can hardly believe it’s dedicated to me and that I will get to treasure this forever. 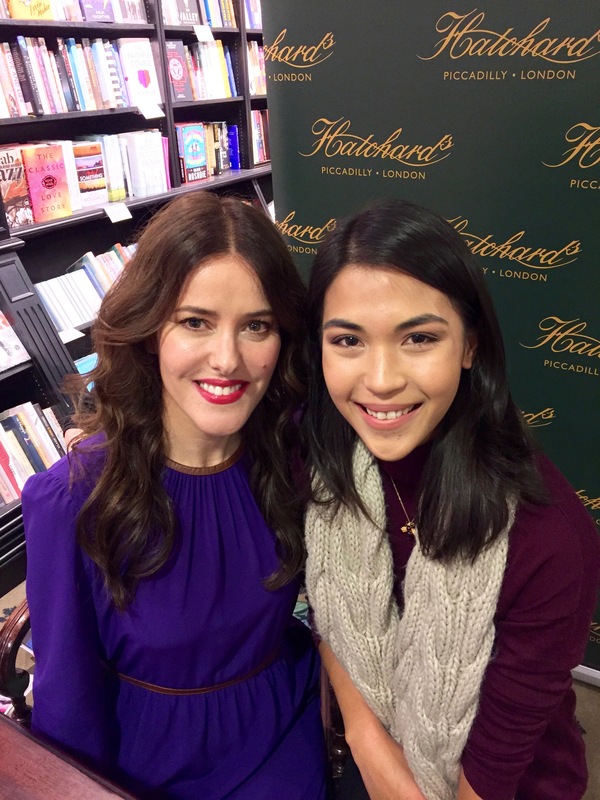 How can anything even hope to match meeting Lisa Eldridge, right? 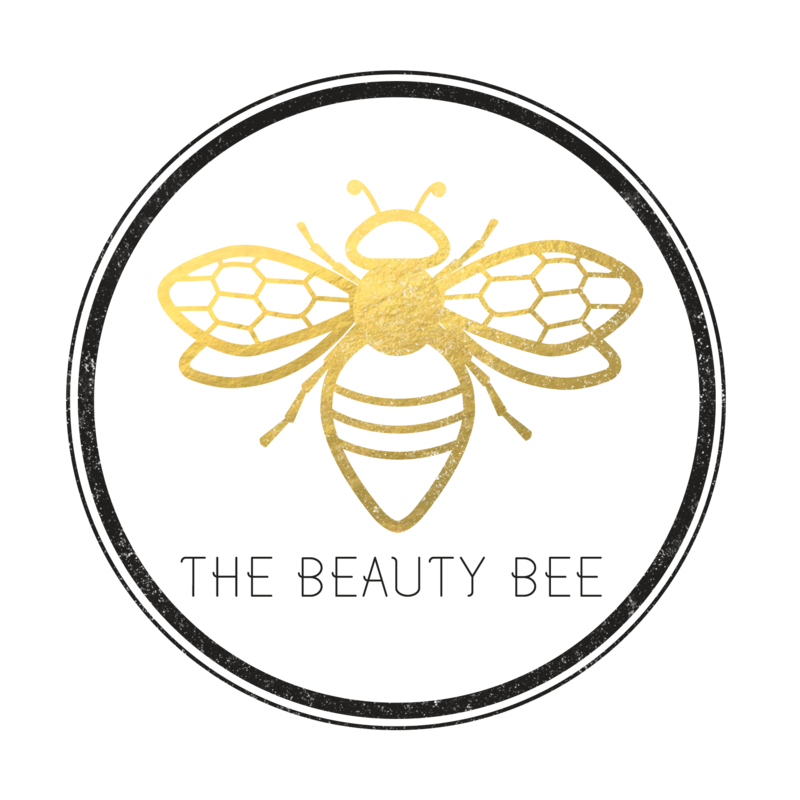 Nothing can and nothing will, but here’s everything else I’ve been getting up to beauty-wise anyway, in case you’re interested: I’ve been trying to figure out how I want to set up my makeup area in my flat. When I’m on vacation I obviously don’t mind having to live out of a makeup bag because it’s only for a short period of time. I’ll be in London for more than a little while, so a having proper set up is pretty important to me. I’m limited by this desk which has no drawers and hence no real storage space. Right now, I have my brushes in glass cups, some essentials out on a little tray, and various other products inside a makeup bag. My daily sunblock just stands on the desk because I really do use it nearly every day. This is working for the moment as I don’t have much time to be experimental with my looks. I just stick to the basics and if that was all that I ever needed, this would be totally fine. I am, however, still crazy about makeup. 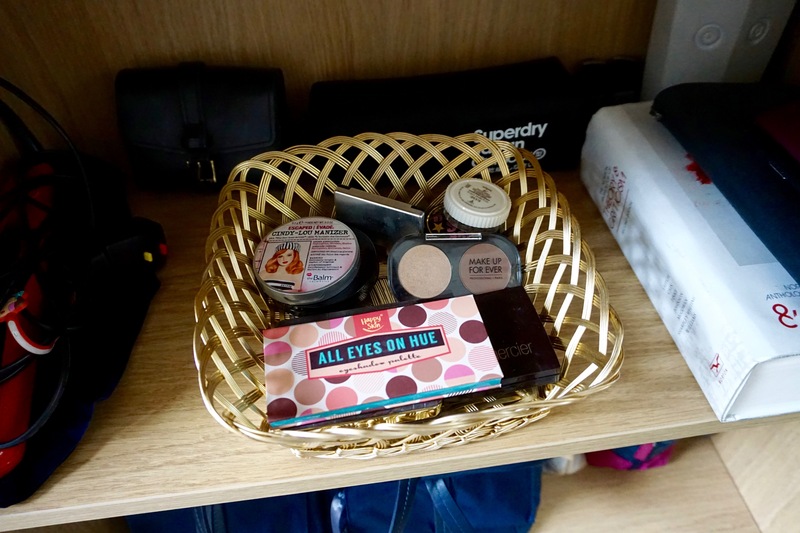 There is already an overflow and there is bound to be more in the future… Off to the side (within arm’s reach) I have a little basket with more makeup. There’s no rhyme or reason behind what I choose to place here or in the makeup bag on my desk, really. It’s just all… there. I’m not too sure if I should buy extra storage or just generally kind of try to keep my purchases to a minimum. So far, this is all the new makeup I’ve bought while here. Brands like Charlotte Tilbury and By Terry are really calling out to me, but I’ll give those purchases a little more thought. Skincare has also been a bit of a struggle since the humidity isn’t as high as it is back at home. 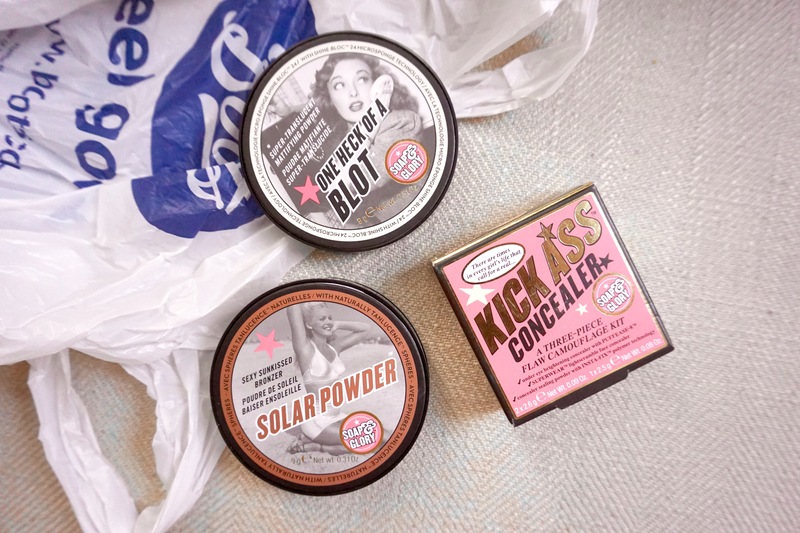 I usually have combo-oily skin, but lately it’s felt a little dry and irritated. My Origins GinZing moisturiser finds itself in heavy use these days and the Avene Thermal Spring Water helps to calm my irritated skin. 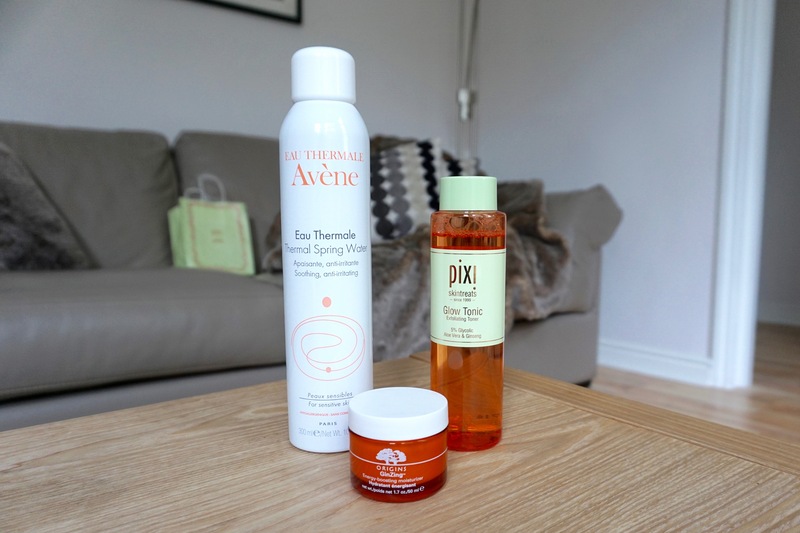 The Pixi Glow Tonic is new to me and I am so glad to finally have gotten my hands on it (so difficult to find elsewhere!). Hopefully this is helping with cellular turnover. Will let you guys know how I get on with it. Glow Tonic! Glamourbox is finally offering it, whee!~ PS: You look just fine in your photo with Lisa, your excitement shines through! Please keep us posted with pixi glow tonic! Been meaning to try it! I AM SO KILIG WITH THE PHOTO OF YOU AND THE KWEEN! :) Love it, mariana!!! I would love to meet her in person too!!! i just discovered your blog and i have an hour of reading all of the post. I am loving it! 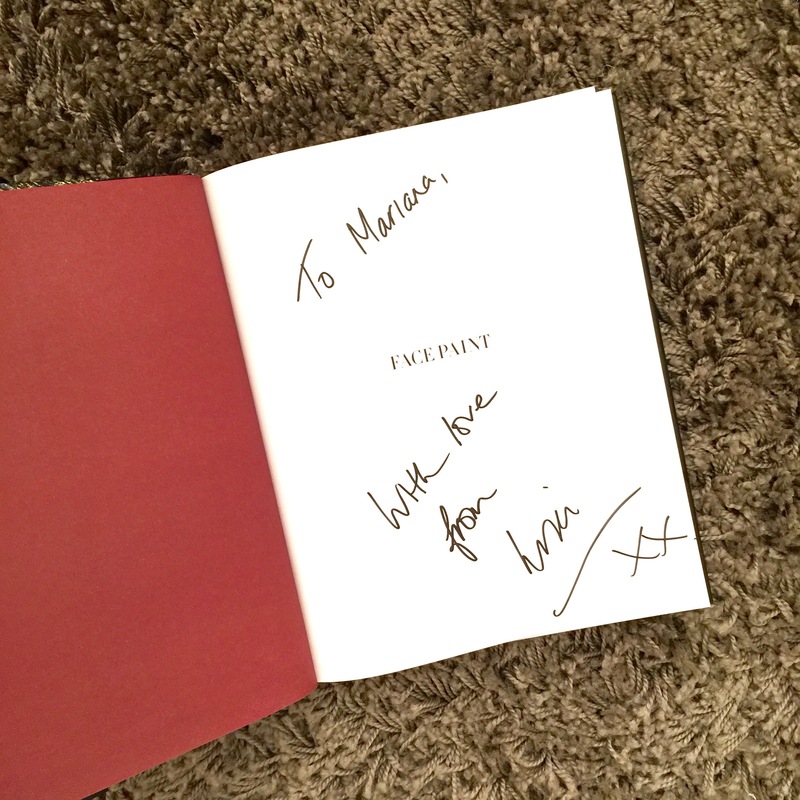 great to see a review of zoeva and meeting lisa! !